There are plenty of Finding the Best Home AC Repair Company in Dallas Is Easy To Do There are plenty of air conditioner repair companies in Dallas to choose from. The odds are you can find a great AC repair specialist that will fit your home’s specific needs. However, you have to be careful when choosing a good company. The options are as varied as the types of air conditioners that you can find today. Look at What’s Covered Individual repair companies are capable of working with a variety of air conditioners. Many are certified to work with specific brands. They will receive these certifications after having undergone extensive training. They will especially study all the individual models that certain brands have made. Specialists can even undergo extensive training when newer models are released. Check to see if a repair company can handle your particular brand. Most companies will service just about every brand even if they don’t sell those particular brands. Still, some companies are more experienced with certain options above all others. 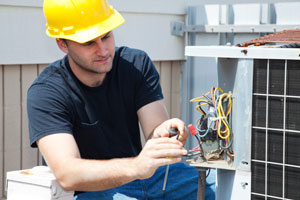 Check the Size of Your Unit AC repair companies can fix all sorts of different units. They can fix larger ones that can cover more space. Make sure you choose a repair specialist that can actually handle your particular unit. This is especially if you have a larger one. Look At the Parts Each individual AC unit will have its own series of parts. These include a series of coils, alternators and fans. A repair company needs to have enough replacement parts for anything your model needs. A repair specialist must especially understand how individual pieces can be organized within your AC unit. Anyone who understands all the ins and outs of your AC unit will certainly be worth contacting for help. Dependability Is Important An air conditioner can break down at any time in the day. Therefore, you need someone who can help you with repairs at any point. A repair company that is located not too far from you is always welcome. This means that the repair specialist can come to your property as soon as possible to fix whatever the issue might be. Check the Warranty The last tip is to look for a good warranty on the repair service you are ordering. An air conditioning repair company should provide you with a warranty on whatever repairs are done. The length of the warranty will vary based on who you select or what has to be fixed. Sometimes you might get a warranty that will last for several years. Either way, the warranty is used to give you peace of mind over whatever you are adding to your property. A great AC repair company can be found in the DFW area. You just have to know what you need to look for when finding one. The options are varied but it helps to look and see that you can find options that are suitable for your needs.”>air conditioner repair companies in Dallas to choose from. The odds are you can find a great AC repair specialist that will fit your home’s specific needs. However, you have to be careful when choosing a good company. The options are as varied as the types of air conditioners that you can find today. Individual repair companies are capable of working with a variety of air conditioners. Many are certified to work with specific brands. They will receive these certifications after having undergone extensive training. They will study different models for certain brands. Specialists can even undergo extensive training when newer models are released. Check to see if a repair company can handle your particular brand. Most companies will service just about every brand even if they don’t sell those particular brands. Still, some companies are more experienced with certain options above all others. AC repair companies can fix all sorts of different units. They can fix larger ones that can cover more space. Make sure you choose a repair specialist that can actually handle your particular unit. This is especially if you have a larger one. Each individual AC unit will have its own series of parts. These include a series of coils, alternators and fans. A repair company needs to have enough replacement parts for anything your model needs. A repair specialist must especially understand how individual pieces can be organized within your AC unit. Anyone who understands all the ins and outs of your AC unit will certainly be worth contacting for help. An air conditioner can break down at any time in the day. Therefore, you need someone who can help you with repairs at any point. A repair company that is located not too far from you is always welcome. This means that the repair specialist can come to your property as soon as possible to fix whatever the issue might be. The last tip is to look for a good warranty on the repair service you are ordering. An air conditioning repair company should provide you with a warranty on whatever repairs are done. The length of the warranty will vary based on who you select or what has to be fixed. Sometimes you might get a warranty that will last for several years. Either way, the warranty is used to give you peace of mind over whatever you are adding to your property. A great AC repair company can be found in the DFW area. You just have to know what you need to look for when finding one. The options are varied but it helps to look and see that you can find options that are suitable for your needs. This entry was posted in Air Conditioning Services and tagged air conditioner repair dallas, Dallas AC repair company, Dallas AC Replacement by Whit Kinser. Bookmark the permalink.